Let’s go back to the question. Is it necessary to get rabies vaccine before travel in Southeast Asia? As in any vaccine; we have to consider the risk of getting the diseases and the cost/side-effect of vaccine. Benefit of vaccines should clearly outweight the cost and side-effect of vaccine. In that case we’ll recommend the vaccine. In 1994; a survey in general traveler in Thailand found that the risk of being bitten and being licked were 1.3% and 8.9% respectively, in an average stay of 17 days. Our recent survey (2009) in Khao San Road, we found that 0.7% of backpackers were bitten and 3.6% of backpackers were licked during their trip (average duration of travel = 30 days). So, are the risk of being bitten high or low in your point of view? Some may say it is high so I would like to get vaccine; while some may say it is low risk for me to be bitten so I will not get the vaccine. By the way, many factors should also be considered such as duration of travel, exact destination, availability of medical care in the destination, traveler’s preference, activity during travel, budget, etc. So it is recommended to have a formal consultation/discussion with your travel doctor in this issue. 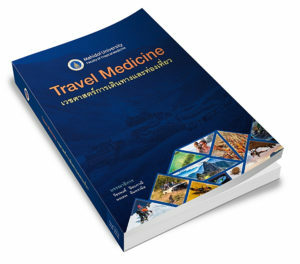 Phanuphak P, Ubolyam S, Sirivichayakul S. Should travelers in rabies endemic areas receive pre-exposure rabies immunization? Ann Med Interne (Paris) 1994; 145(6):409-11. Piyaphanee W, Shantavasinkul P, Phumratanaprapin W, et al. Rabies exposure risk among foreign backpackers in Southeast Asia. Am J Trop Med Hyg. 2010 Jun;82(6):1168-71.